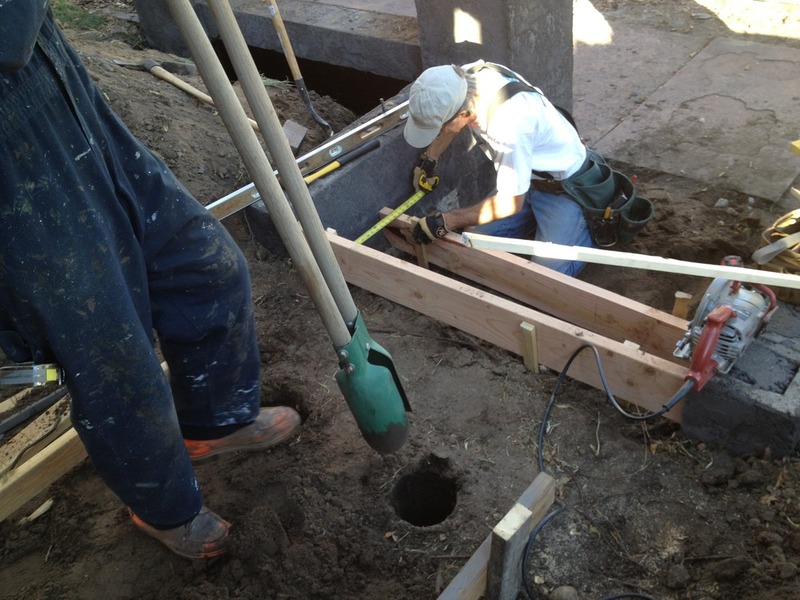 Starting the rough frame of the new entrance steps. The gate wll now be down at the sidewalk level, centered between the columns in the same line as the wall fence. 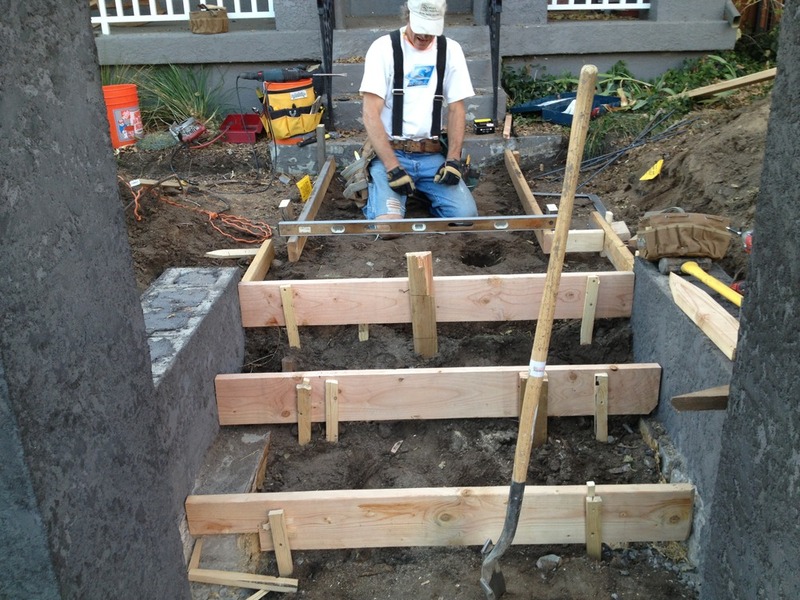 We chose to have steps with a 14″ tread, which we hope will give a nice open-feeling entrance that reduces down in width after the top step to match the width of our current porch stairs. 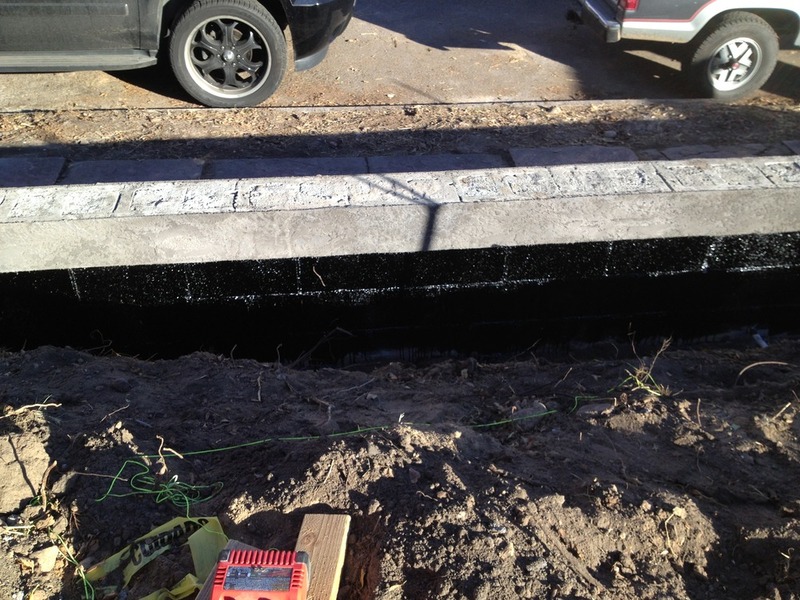 A waterproof tar-type material was slathered on the yard-side of the wall to help with blocking moisture away from the wall. We also added a drainage channel at the base of the walls with a fabric covered perforated flexi-pipe to help water drain into the in-wall pvc drains if needed during a heavy inundation.